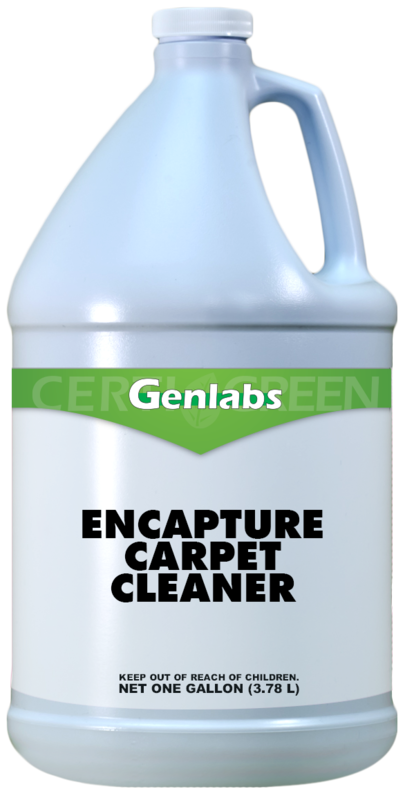 Encapture Carpet Cleaner is a revolutionary new idea in carpet cleaning that is safe for use with most synthetic carpet surfaces. 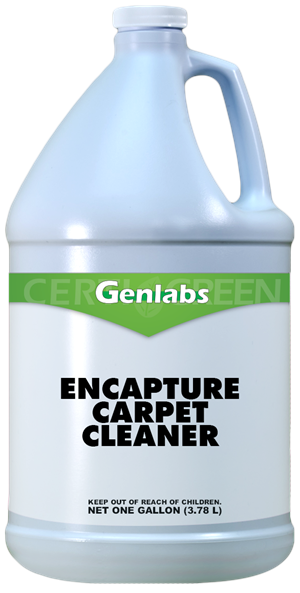 Encapture Carpet Cleaner cleans and deodorizes in one step and leaves behind no residue. This product is great for organic stains and eliminates pet stains and odor. Encapture Carpet Cleaner will encapsulate soil particles and it can be extracted with vacuuming. Vacuuming will also remove all dirt attracting soil residue left behind allowing the carpet to stay clean longer. Do not use on wool carpet.